If you need immediate dental attention, 1Dental wants to help. Let us help you get the care you need quickly and in a cost-effective way. Find an Emergency Dental Plan Near You! In an emergency, most people want to act quickly to get the problem solved. Unfortunately, a common consequence of that is the painfully large bill that comes after the procedure. Is there a way to get emergency dental care without paying such a large cost? 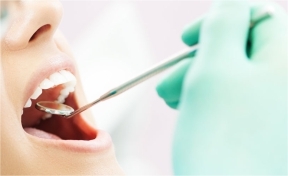 At 1Dental, we provide you with immediate dental attention at a low cost. Our Careington Care 500 plan saves you 20-60% off any procedure and can be activated immediately! To purchase the plan now, click here or call 800-372-7615. The discount plans are easy to use. Once purchased, simply schedule an appointment with one of our in-network dentists and start saving. To quickly find a dentist that accepts the plan, go here and type in your zip code. If a dental emergency occurs, seek immediate dental attention. However, if you cannot receive help right away, knowing what to do until you can get help will benefit you greatly. Below are some common dental emergencies, as well as suggestions on how to relieve them temporarily. You’ll still want to see your dentist as soon as possible. If part of your braces break, push the wire back into place, if possible. Until you can see an orthodontist, you can also try covering it with orthodontic wax, a cotton ball or gauze. Do NOT cut the wire – you could cause further damage to your mouth or lungs. With a chipped tooth, keep any broken pieces. Rinse your mouth and the pieces with warm water. If bleeding occurs, place a piece of gauze in the mouth until it ends. To relieve any pain or reduce swelling, place an ice pack or something cold to the mouth or cheek. To keep the cavity semi-filled until you see a dentist, use a piece of sugarless gum in place of the filling. You may also want to buy over-the-counter dental cement, but it is best to go directly to the dentist. If possible, save the tooth and rinse it. The best chance of saving and returning the tooth will happen if you see a dentist immediately and the tooth is returned to its socket within an hour. If you cannot see a dentist right away, try gently putting the tooth back into its socket – but do not force it­. If you cannot get it in correctly, place the tooth in a cup of milk – or liquid that contains cell growth medium – until you can see a dentist. Floss is the best tool to use if you have something stuck between your teeth, but if the object does not come out or swelling does not go down, see a dentist immediately. Do not use any sharp items to try to get the object out – you could cut the gums or scratch the tooth. With warm water, thoroughly rinse mouth. Try using dental floss to free any stuck food. If swelling occurs, place an ice pack near your check or mouth. Do not put painkillers or aspirin near the aching tooth since it may burn the gum tissue. Abscesses are serious infections that occur from bacteria from a present cavity growing to infect surrounding gums (or soft tissue) and bones. If the infection goes untreated, it could threaten someone’s overall health. The symptoms of an abscessed tooth include pain, swelling, and redness of the gums or face. If the infection worsens, a person can experience fever, chills, and vomiting. Unfortunately, abscessed teeth cannot be treated without seeing a dentist. If you discover an unusual lump on your gums, visit the dentist immediately. To read further on more dental emergencies, go to WebMD for help.